Please reduce the image size before uploading. Here's a classic TTT Sell Day example on the Australian SPI futures market. You did a great job marking that up. Good example. 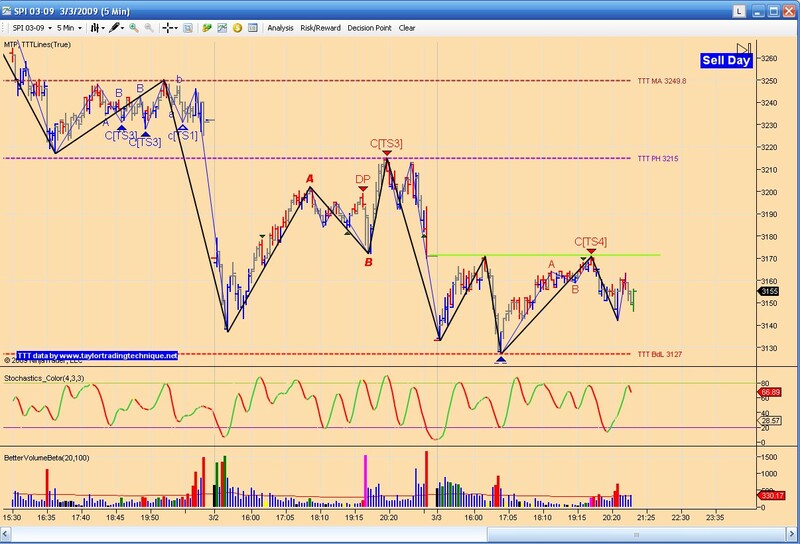 Jands post was also interesting since I had never seen MTP on Tradestation before. Great thread! I am nearly done reading it all and hope to finish it tomorrow. I am going to give the TTT a try and see if it can help my trading bias. I had never heard of MTP before and wow I got sticker shock after looking at the price tag. It is way too expensive for me. The latest version of the Add-On is now available for eSignal and Ninja Trader. This new version now covers multiple markets all in one indicator. also a Forex version for MT4 is available. Visit the website for more info or email me. Another classic Sell Day seup straight out of Richard's e-book. 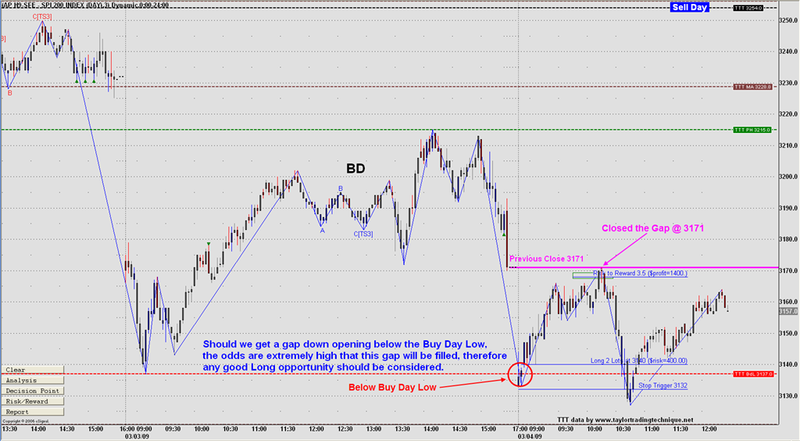 The market gapped down below the Buy Day low and then exactly closed the gap. A manual MTP DP trade was then available for the down trend into the opposing DP level. Rich - total TTT newbie first post : would you please give a very brief overview of today's EURUSD Sell Day chart ? Today is a sell day. 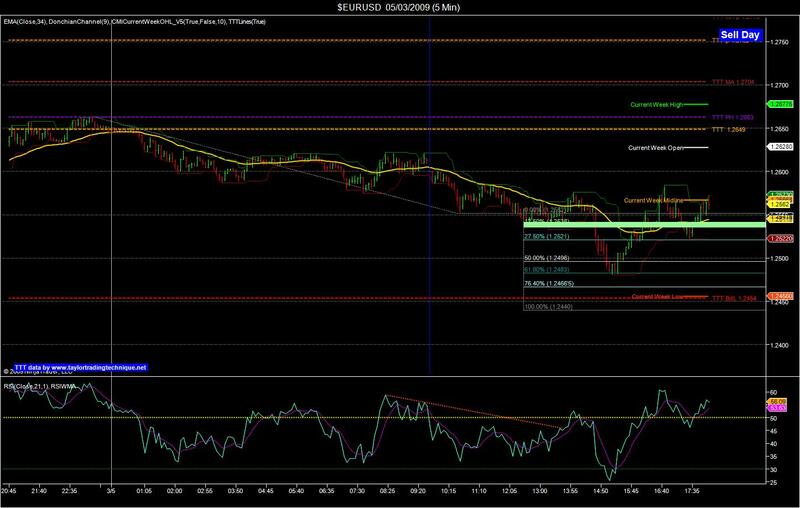 The rally occured on the Buy day, since the low was made first and reached the average projected rally. When the market changed day since it never stops, it was at these levels. So it didnt make a penetration and then corrected that up move. Tomorrow is a SS day and should be interesting as we have 81% chance of getting at least above the Buy Day Low.